Earlier this week we took a look at the new Justice League Alien Invasion 3D ride that just opened at Warner Bros Movie World on the Gold Coast. 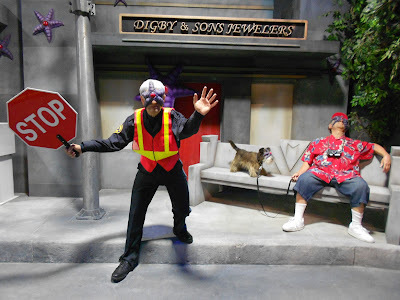 Today we have some more coverage of the interactive dark ride, with some fantastic photos provided by Sally Corporation, the designers of the new attraction. 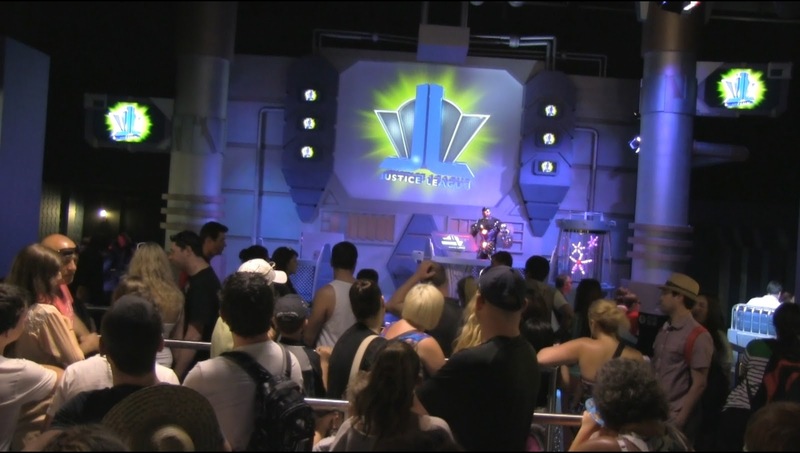 As guests queue for the attraction they experience this preshow area where they are briefed on their upcoming mission: destroy Starro the Conqueror and his mind invading spores at all costs. A cyborg animatronic greets everyone in the load area, while Batman is beamed in for the briefing from the Justice League watchtower, located deep in outer space. 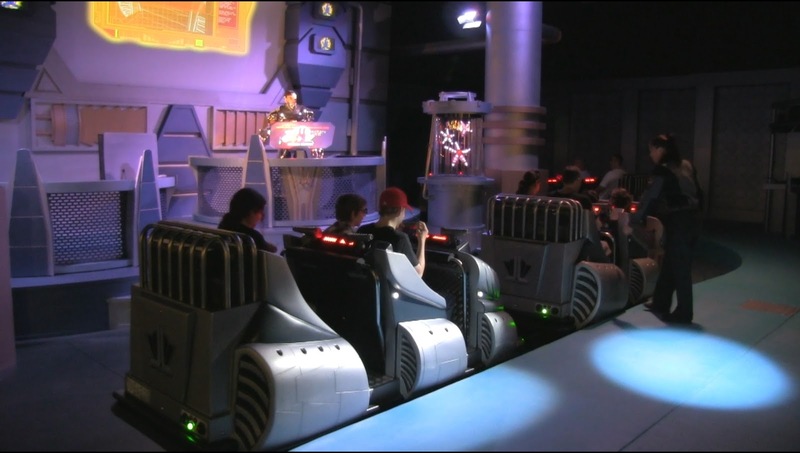 Once it is their turn to ride, guests board their vehicles, seen above with the briefing area located behind them. Equipped with their own blasters, they head out on their mission to help defeat Starro. Individual scores are kept on a panel in front of them, as you can see in this photo. 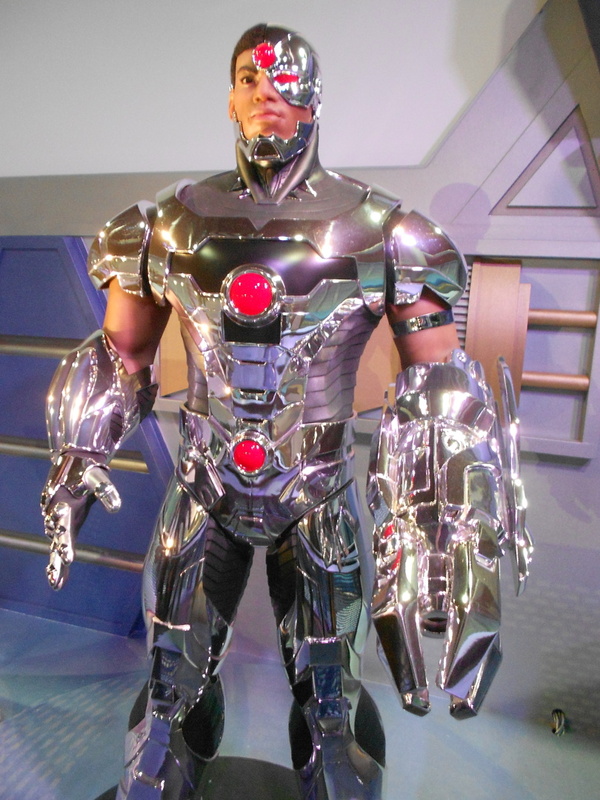 This is a close up of the cyborg character located in the attraction. I had to slim down the original file, as it was 40 or so megs, but even in that ginormous detail I thought for a while that it was a live person dressed up in the ride. That's just how high quality the figures are that are produced by Sally Corp! Once inside the main ride building guests get to see just how affected the world has been by Starro and their minion of spore stars. Here we see one scene (not in show lighting, same for the image below) that features some of the characters found throughout the ride. The starro spores are leeching onto everyone and anyone, even that cute dog! We will end with a close up shot of Supergirl, who effortlessly holds back a crumbling wall to save the lives of passing riders. Nice! 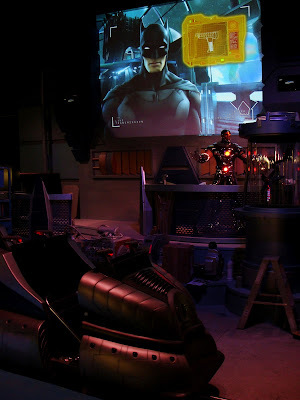 Justice League Alien Invasion 3D looks like a high quality attraction, and honestly I'm a bit jealous it is located so far away. I hope a U.S. park gives Sally the chance to produce something this great for them, and soon! All images are copyright Sally Corporation, and used with permission.